Mitsubishi Electric exhibited a prototype chip at MEMS Sensing & Network System 2018, which took place from Oct 17 to 19, 2018, at Makuhari Messe, in Chiba City, Japan, along with Ceatec Japan 2018. It was developed in a joint research project with the research laboratory of Kazuhiko Matsumoto of the Institute of Scientific and Industrial Research, Osaka University. This time, the Advanced Technology R&D Center used a sheet-like graphene material. It was explained that the state of electrons of graphene is different from those of other materials and semiconductors. And the new sensor uses this characteristic. In general, electrons exist as valence electrons, which are bound by the perimeters (outermost shells) of atomic nuclei, and free electrons, which can freely move in a substance (among multiple atoms). Between low-energy valence electrons and high-energy free electrons, there is a bandgap where they cannot exist as electrons. When energy corresponding to the gap is given, valence electrons become free electrons. The optical sensors of existing image sensors turn valence electrons into free electrons by using the energy of irradiated light. The electric current generated by free electrons are electronically read out to detect light. The energy for turning valence electrons into free electrons depends on material and structure. So, when light with a wavelength corresponding to the energy is taken in, light is detected. In graphene, there is no energy gap for converting valence electrons into free electrons. Therefore, in principle, it can absorb light with any wavelength to turn valence electrons into free electrons. When optical sensors utilizing the properties of graphene are arranged in an array like existing CMOS image sensors, it is possible to realize a multi-spectrum image sensor that can take images on the same optical axis. In the case of far-infrared sensors used for thermography, elements called "quantum type" have a high performance. But graphene may have an even higher performance than that in terms of response speed and sensitivity. The quantum type generally uses special materials and is cooled to several hundred degrees C below zero to reduce the influence of noise. 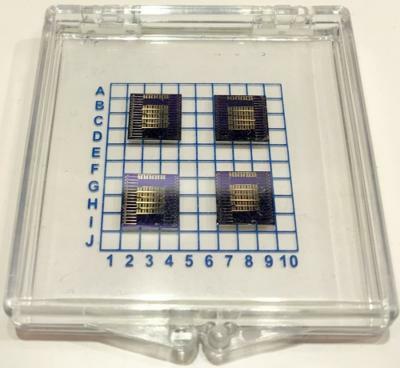 In contrast, the graphene-based sensor does not need to be cooled. The Advanced Technology R&D Center expects that the graphene-based sensor will replace all kinds of far-infrared sensors because of multiple excellent properties in the future. Though carbon, which is not used for common CMOS processes, is used for the production of the sensor, the manufacturing process of the sensor itself is a commonly-used process. The filtering for taking in only light with a specific wavelength can be structurally realized without using an optical method, according to the Advanced Technology R&D Center. Specifically, a bandgap is artificially generated by making graphene have a regular pattern so that the sensor becomes sensitive only to desired wavelengths. Also, there is a method of forming a resonance structure so that the sensor becomes highly sensitive only to lights having specific wavelengths corresponding to resonance frequencies.